SONORA, MEXICO – A small fan clicks and hums as Jonathan Cosillos focuses on a chemistry book at his kitchen table. He’s working on his daily homework, but the light breeze isn’t enough to keep the flies from interrupting his concentration. It’s late summer in the rural farming community, and Cosillos is still getting used to his academic routine. The soft-spoken 18-year-old from a family of five no longer works as a day laborer on a farm, as his father and brother do. But that’s not by choice. Sonora River: A community still healing from AZCIR on Vimeo. 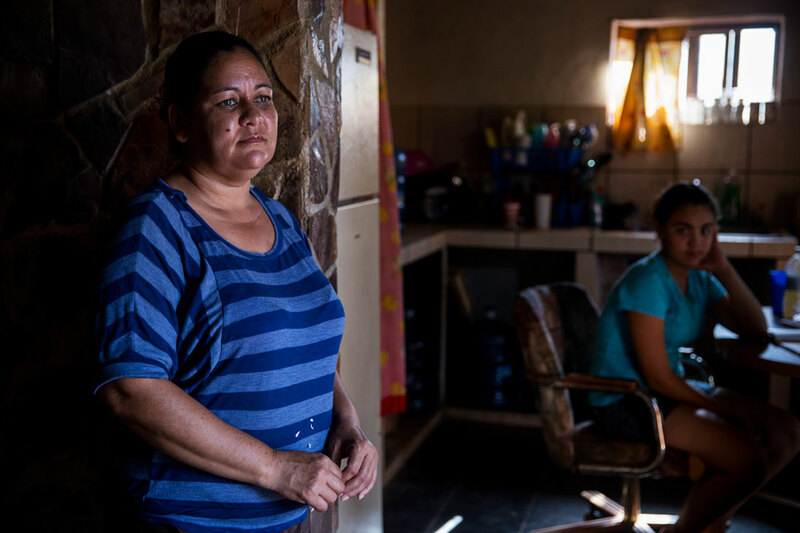 He’s one of more than 300 people the Mexican government has identified with illnesses tied directly to heavy metal contamination from a mining accident that spilled 11 million gallons of toxic chemicals into the Sonora River. The Buenavista del Cobre copper mine is owned by Grupo México, a mining conglomerate with sites across Latin America and the U.S. It was fined nearly $1.5 million for more than 50 violations identified by the Mexican government relating to the spill. It’s been more than a year and new medical cases continue to emerge. Researchers and environmental experts in Mexico are now warning that the government’s slow response, combined with outdated water quality standards, have placed the population under unnecessary risk. Cosillos was working at a cucumber farm when the contaminated river flooded. He wasn’t aware of the risks as he and others rushed to save their harvest, wading through toxic water and drinking from the wells supplied by the river. About a week later, he started feeling sick. It did. But it took nine months for him to get that answer. When Mexican officials learned about the spill, they immediately closed all water wells within the seven municipalities near the river to prevent further contamination. The municipalities include Aconchi, Arizpe, Banámichi, Baviácora, Huépac, San Felipe de Jesús, and Ures. The spill released a copper acid sulfate solution, which includes heavy metals such as aluminum, manganese and arsenic. Mexican officials said that they immediately sent mobile teams of doctors into communities to identify affected families. But the doctors weren’t able to visit with every family. It would be four months before his family was visited by Mexican health authorities who were looking for victims of the spill. They found Cosillos after they reviewed his medical files from the local hospital. It then took another month before the government brought Cosillos to Hermosillo, the state capital, to get his blood tested for heavy metals. As Cosillos and his family waited for the results his health got worse. At one point Cosillos was in so much pain that he wanted to start shopping for coffins, said his mother, Blanca Ruiz, 38. He didn’t think he was going to make it. Ruiz said she filed a complaint with the Sonora Human Rights Commission, which was forwarded to federal officials because the tests were handled by COFEPRIS, Mexico’s health agency. “After the spill, many people went to their health center and it wasn’t possible to detect them,” said Joel Lopez Villagomez, the director of a temporary treatment center that opened in March 2015. 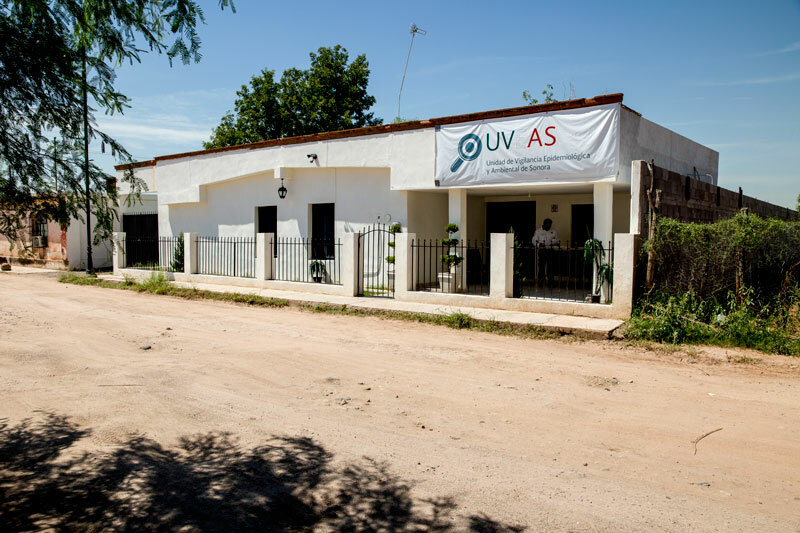 The center, known as UVEAS, operates out of a home that was converted into a small treatment facility. It’s a temporary location because the Mexican government has plans to construct a permanent structure later this year. It was here where Cosillos finally got the answers he was looking for. It had been nine months since he first became ill.
His blood analysis showed that he had levels of manganese above acceptable standards. Manganese is a heavy metal that can have serious impacts on the nervous system if a person is exposed over prolonged periods of time, according to Hector Duarte Tagles, an environmental health specialist at the University of Sonora. “There’s a high risk if people begin their treatment late. The longer some contaminants are in the organism, the more difficult it is to get rid of them,” Duarte Tagles said. Adolfo García Morales, then a Sonora delegate to the Mexican Ministry of the Interior, said officials actively searched for patients throughout the Sonora River Basin. To date, the government says it’s screened more than 10,000 residents. García Morales said there wasn’t a single person who had tests conducted that didn’t receive the results. “The epidemiology unit opened recently, but that doesn’t mean that we haven’t been providing care to the population,” he said. The new treatment center, UVEAS, will continue testing its patients every three months, for up to 15 years. But according to Cosillos’ mother, Blanca Ruiz, the nine months it took for her son to get tested and begin treatment was unacceptable. “If the government knew what was happening, why didn’t they take actions right away – right away,” Ruiz said. A year after the spill, the official statement from the Mexican government is that the river is clean and that most water wells are too. Academics and scientists are challenging that, after more cases like Cosillos’ are coming to light. Contamination from the spill has highlighted outdated water quality standards in Mexico, possibly endangering the population, according to researchers. Reina Castro Longoria, a professor and researcher of marine ecology at the University of Sonora, conducted independent studies of the Sonora River after receiving calls from residents. She said they had health problems such as skin spots, rashes and hair loss. This is in addition to severe diarrhea and other digestive problems. Castro Longoria took water samples from the Sonora River and five water wells nearby in July 2015. She had the samples analyzed at a laboratory and found elevated levels of arsenic and aluminum. In Mexico, the norm for arsenic is 2.5 times the acceptable limit for drinking water when compared to standards from the World Health Organization and the Environmental Protection Agency in the U.S.
Castro Longoria said the high levels of toxins are acceptable under Mexican regulations, but would be considered dangerous according to international standards. She tested six residents that presented symptoms of arsenic poisoning and found a presence in their blood 19 times the acceptable human levels. Castro Longoria presented her findings to the Mexican government in August 2015, to argue that the Mexican norms for heavy metals should be updated to match international standards. Adolfo García Morales, the former delegate to the Sonora Mexican Ministry of the Interior, said he met with the academics to discuss the findings. He said that the federal government has been working to update the norm for several toxins and heavy metals found in the river. The proposal is still pending. He also denied that Mexico’s water quality standards have put people’s health at risk. “I couldn’t say that it is negligence. I’m not an expert on the subject. But what is true is that we live in a state where there is a rule of law. And while the law we have might not be the best, it is after all the one that is in effect,” García Morales said. On November 5, the Mexico Ministry of Environmental and Natural Resources (SEMARNAT) said in a press release that the water samples taken over the past nine months from the Sonora River don’t show any heavy metals above Mexican standards. Grupo México has since resumed its mining operation after the Mexican government forced a partial closure immediately following the spill. The company also was compelled to establish a $150 million trust fund to help offset the damages to farmers and individuals. 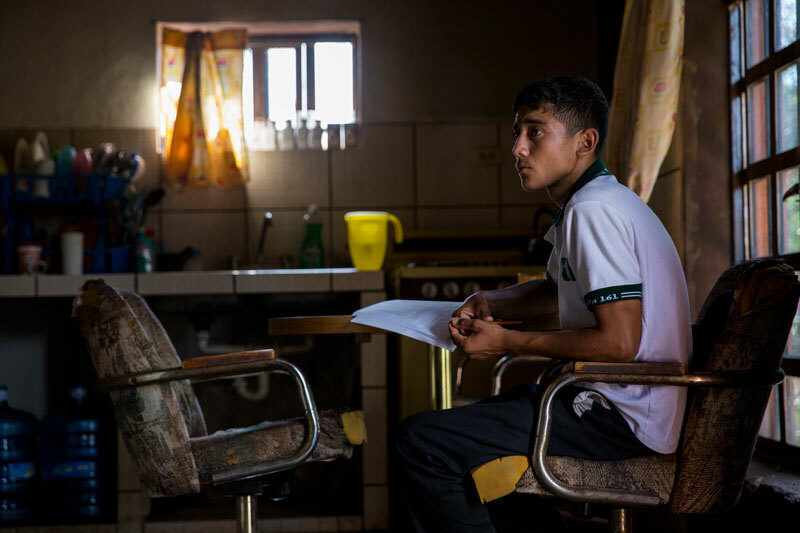 For Cosillos, who now receives treatment at UVEAS, his afternoons are spent studying. He received the equivalent of $1,400 from the trust fund. Blanca Ruiz, his mother, said the money is just enough to pay for his first year back to school. She’s happy that he’s once again getting an education, but she wishes it was under different circumstances. “We’re sick and we don’t even know what will happen at the end of the day…they can say it’s all good, and that he is improving, but truth be told, we don’t know,” Ruiz said. AZCIR’s Sean Logan contributed photos and videos for this article.